Getting to know your soils is an important part of getting to know your wetland. 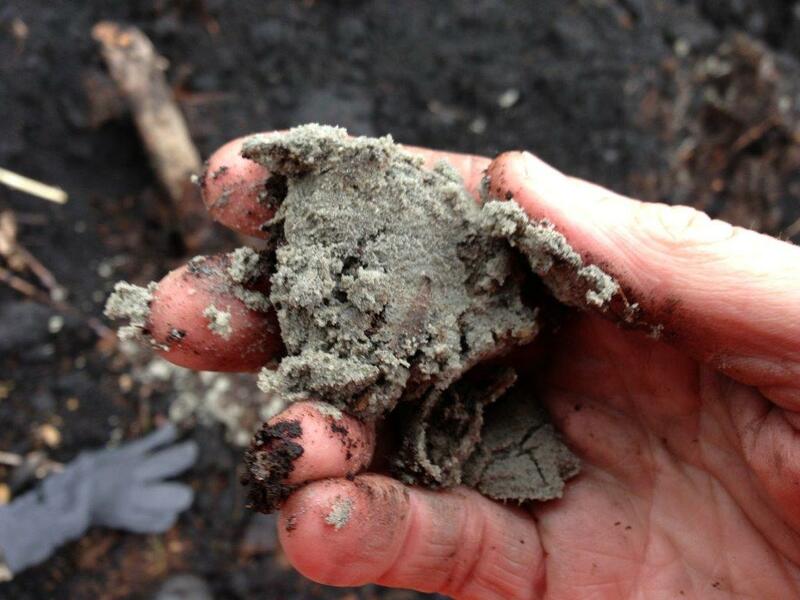 Your soil type(s) will determine the actions you may take to care for your wetland. 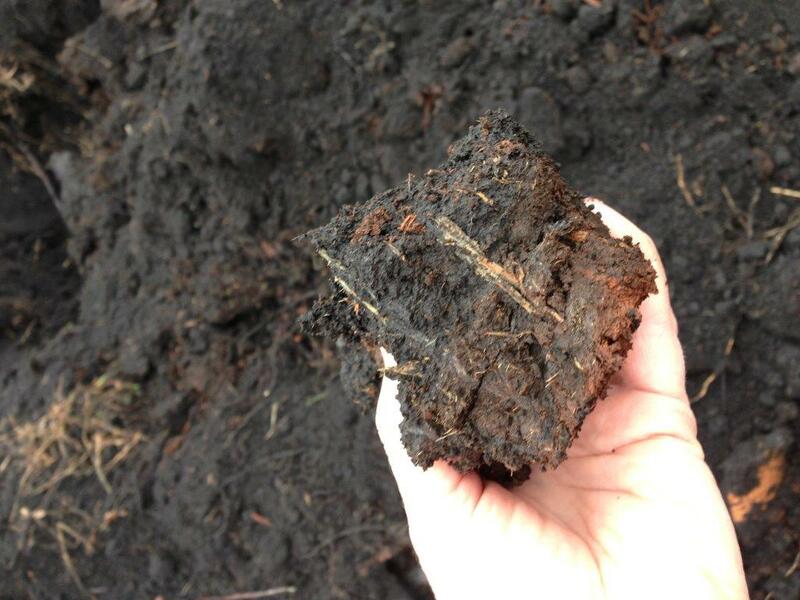 Muck/peat: These are very dark-colored wetland soils made mostly of partially-decomposed plants. Very “loose” soils, they are easily compressed and rutted by vehicles or equipment. If they dry out they can subside; they can also catch on fire. 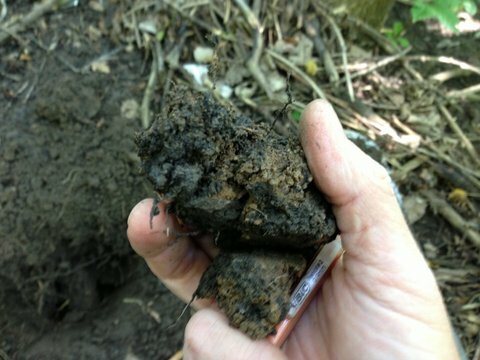 Silt and clay soils: These soils are dark in color, usually brownish gray or black, but sometimes dark red. Large amounts of water (e.g., rain storm or snow melt) pond on these soils because of their high clay content. Sandy soils: Sandy soils are found near dunes along Lake Michigan and in central Wisconsin. Sand grains will be visible in these soils, which are usually darkly stained with organic matter. Because sandy soils can’t trap water, wetlands with these soils signify visible groundwater. It’s possible a layer of clay is responsible for holding water “perched” above the groundwater. Dig a hole at least 12 inches deep to see different layers of soil made up of varying amounts of sand, silt, clay, or muck/peat. Remember that you might find a variety of soil types within a bigger wetland. If you see lighter-colored soils above dark soils in your wetland, it may be that soils from surrounding uplands have eroded and been deposited on in your wetland. These upland sediments alter water movement in your wetland and potentially introduce harmful nutrients and invasive species seed. Take pictures of your soil and make notes in your field journal about what you see and feel (and smell!) in your soil. 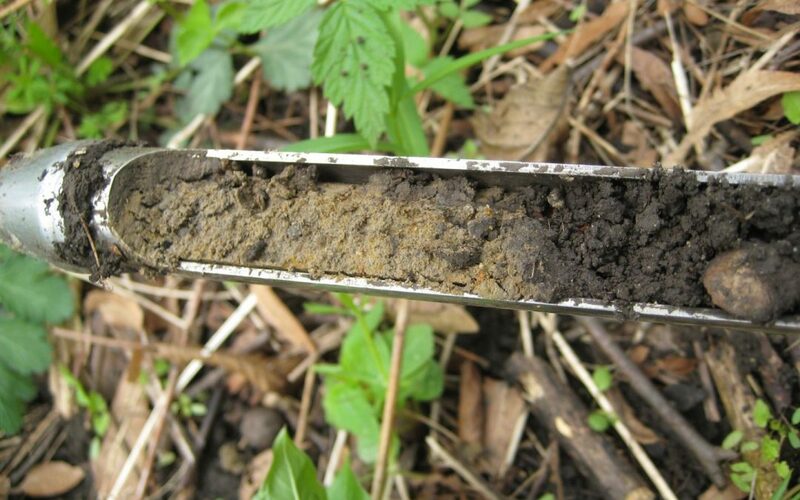 To learn more about the soils on your property, visit the Natural Resource Conservation Service Web Soil Survey or the Department of Natural Resource’s Surface Water Data Viewer (look at the “Wetlands and Soils” layer).